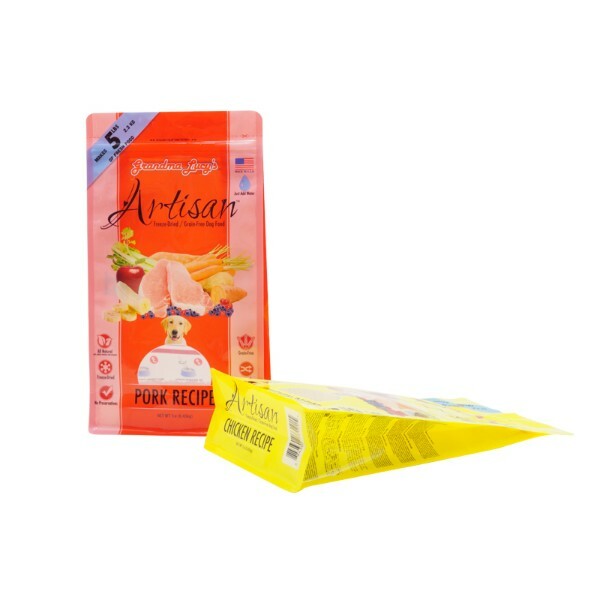 Dog food flat bottom bag also called dog food box pouch or dog food square bottom pouch, has the added benefit of a flat, stable base allowing it to stand perfectly upright on the shelf. 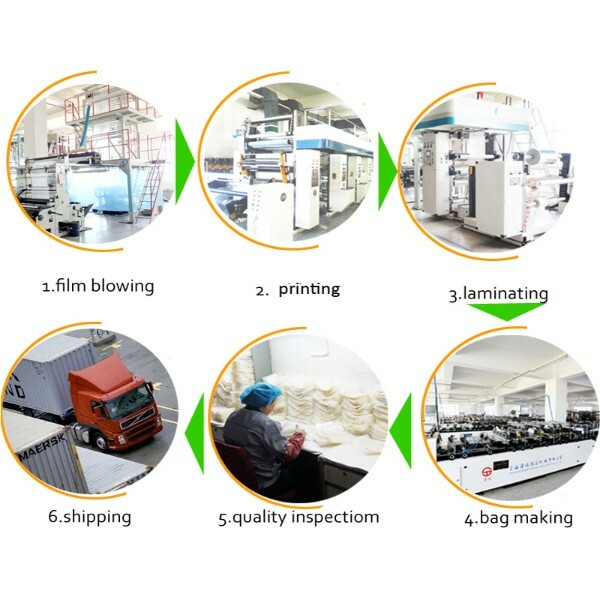 This will ensure that your brand will perform in the store the way you intended it to flawlessly.Weihai Woda New Material Co., Ltd. has the dog food flat bottom bag which can meet your requirements perfectly. 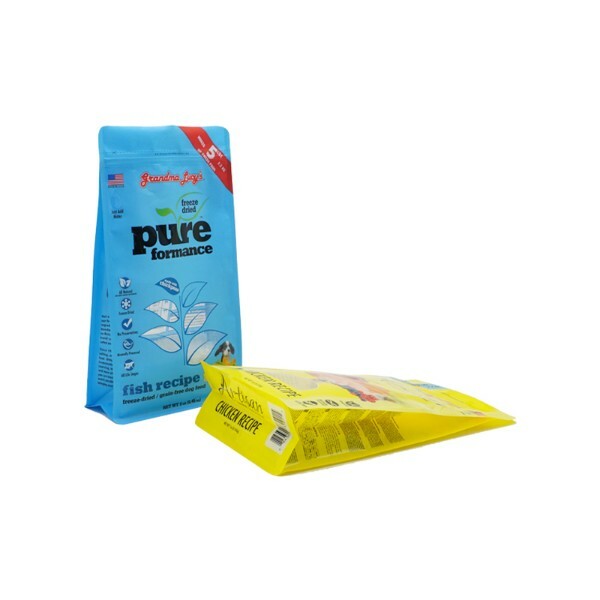 Dog food flat bottom bag is the update of stand up pouch in the world of premade pouches. 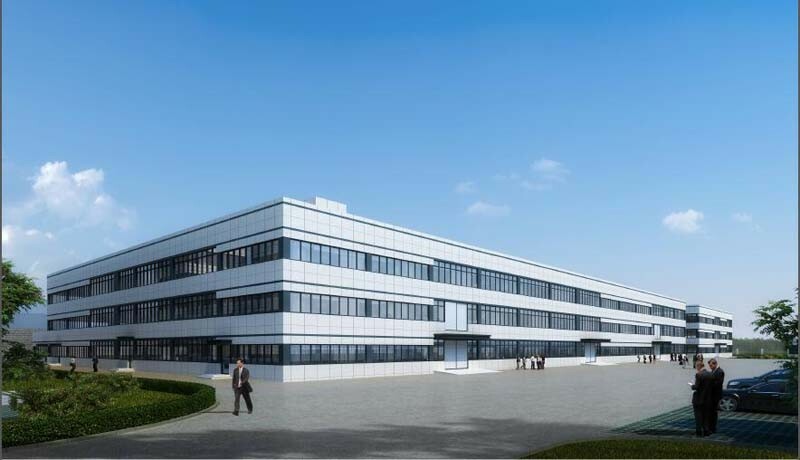 Due to its rectangular shape dog food flat bottom bag has maximum visibility on the shelf and excellent stand-up and shelf-filling capacities.Our company is the only plastic packaging manufacturer in Weihai that can produce the dog food flat bottom bag. 1. 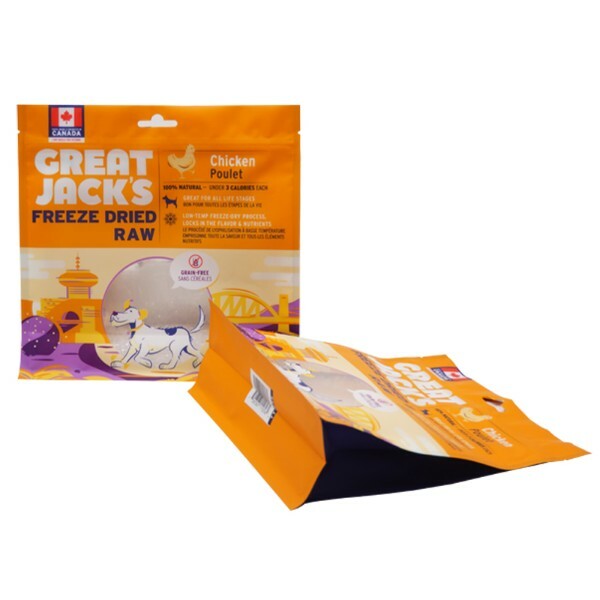 Dog food flat bottom bag is durable, waterproof and moisture proof. 2. 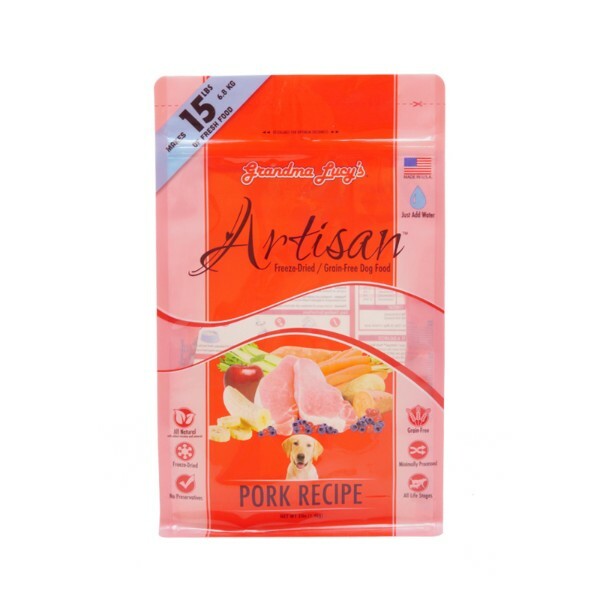 Dog food flat bottom bag is made from FDA approved food grade materials. 3. 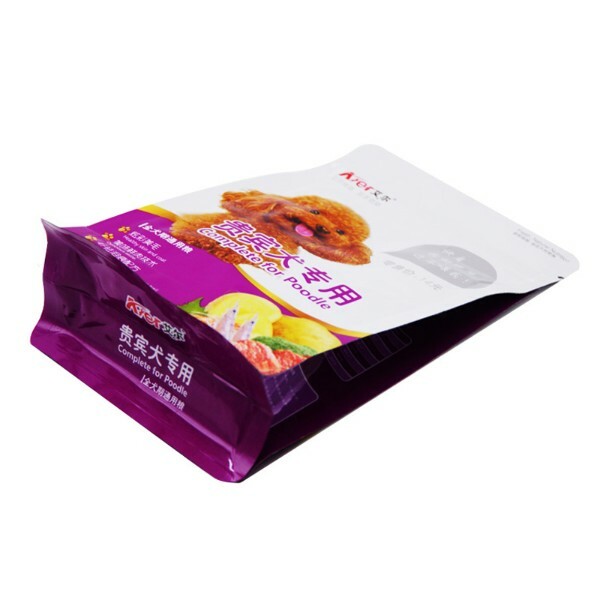 Dog food flat bottom bag is distinctive designed. 4. 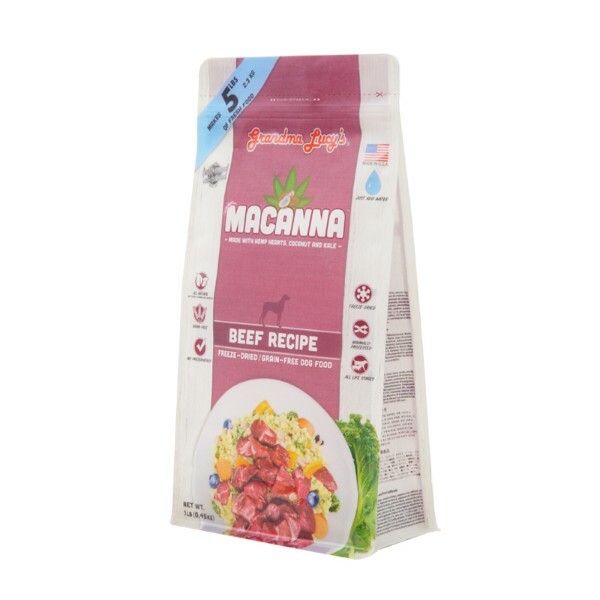 Dog food flat bottom bag is customized printed with customers’ own LOGO. 5. 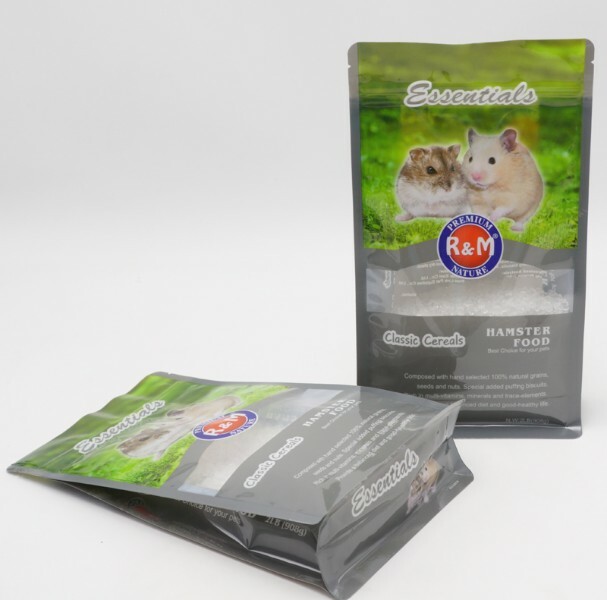 Dog food flat bottom bag is excellent standing effect and strong sealing. 6. Dog food flat bottom bag is easy to carry, store and transportation. 7. 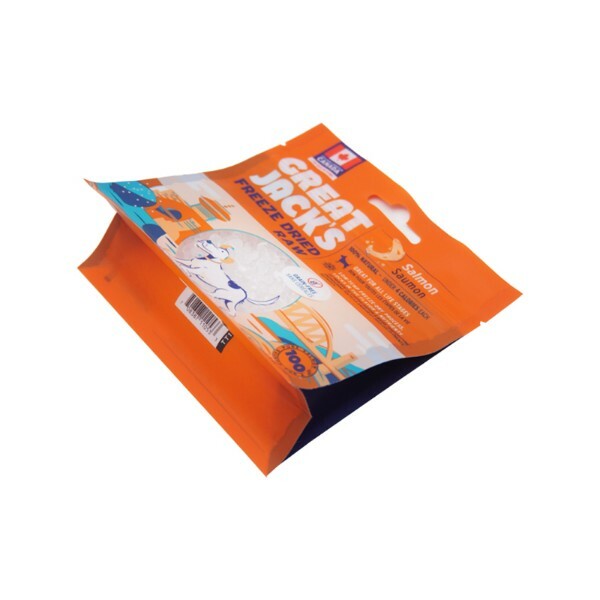 Most Dog food flat bottom bag is excellent moisture proof and oxygen proof. 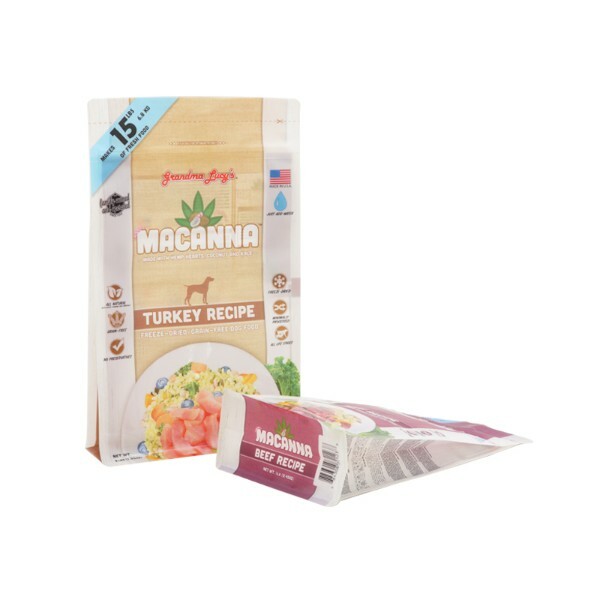 Because of so many advantages that dog food flat bottom bags have become the preferred packaging for many pet food companies’ first choice. 1. Dog food flat bottom bag protect your dog food having traceability and security feature. 2. 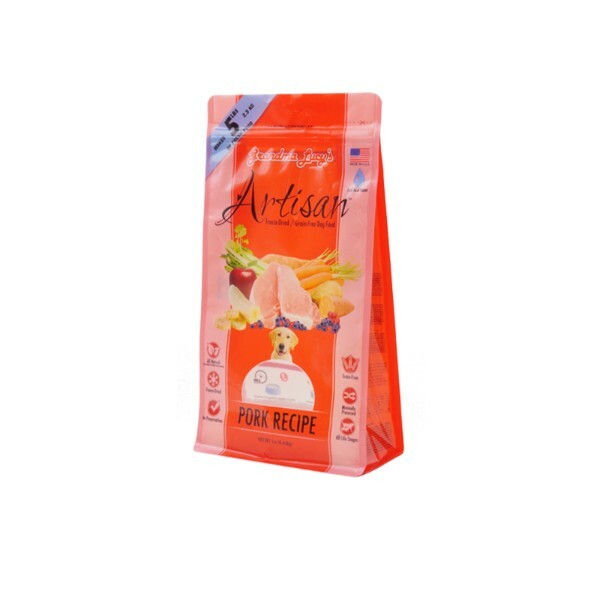 Dog food flat bottom bag is able to keep your dog food a longer shelf life and better packaging looking. 3. 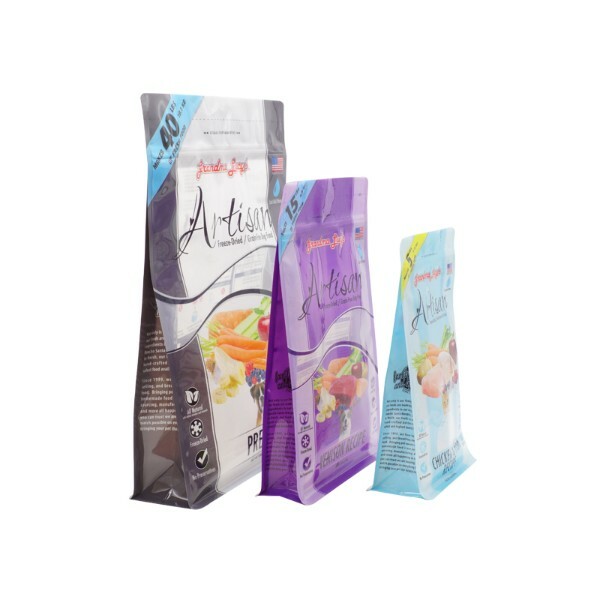 Dog food flat bottom bag can be customized to fit your needs. 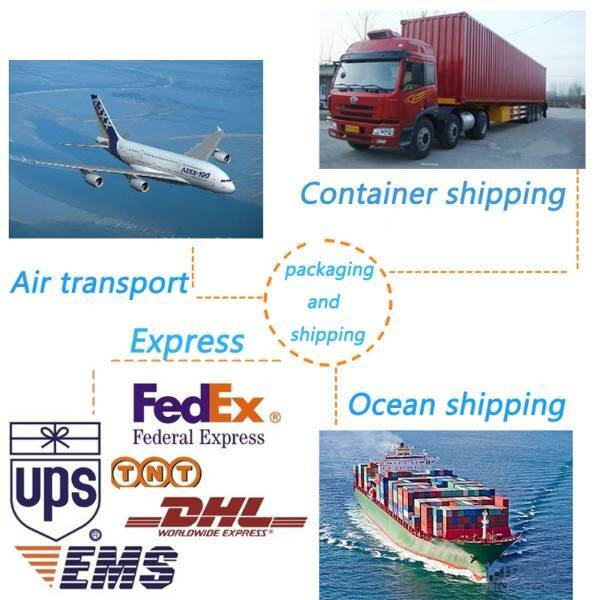 We can make various shape and size according to your various needs. 4. Dog food flat bottom bag can be made to be able to be hang. 5. Dog food flat bottom bag can have a zip locks or tear notch which will be more . 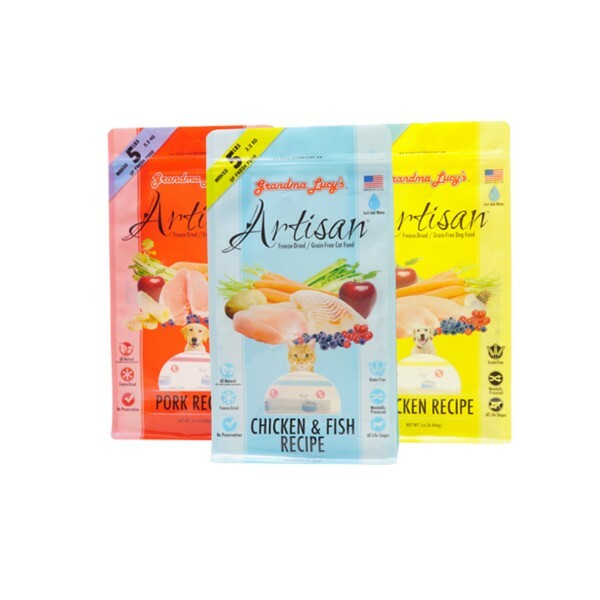 Now we have advanced equipment and skilled team, providing high-quality plain and custom printed dog food flat bottom bag. 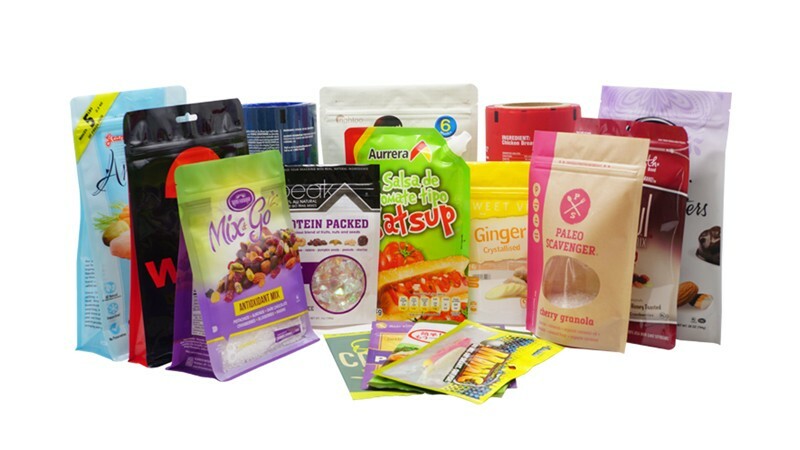 Dog food flat bottom bags are available in a range of designs, sizes and premium finishes to meet the exact requirements of your product and brand and ensure our customers always receive competitive prices . 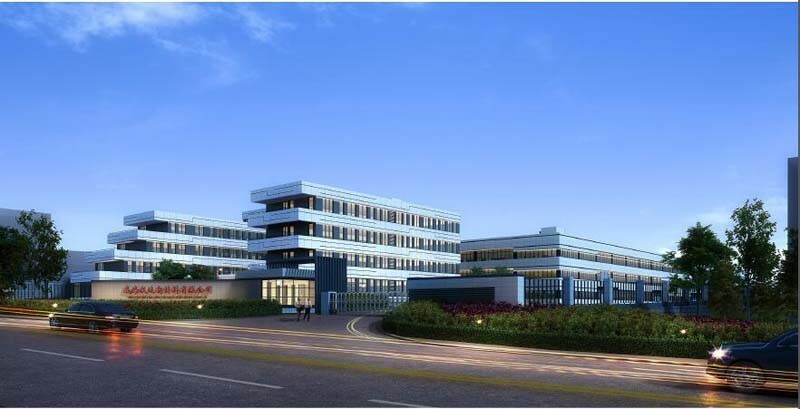 If you have a demand for dog food flat bottom bag, Please contact me.